Apartments For Rent in London – North or South of the Thames? There are thousands of apartments for rent in London on any given day – the trick is finding one that suits you and not the other way around! Property prices vary significantly from one part of London to another and you if you’re moving to London, you may consider instead buying or renting somewhere in one of the surrounding counties – Essex, Hertfordshire, Buckinghamshire, Berkshire, Surrey or Kent (starting to the North East of London and finishing South East of London). Here, property prices will be significantly cheaper and you’ll be able to commute to work for £1,000 – £2,500 or so a year, depending on your location. Many people say that when you’re moving to London, you will always be a ‘Northerner’ or a ‘Southerner’, depending on which side of the Thames you are on. North London has more tube stations and public transport and has always been considered more up-market. The majority of London’s business and corporate world is based North of the river, so when you’re in North London, there is a feeling of industry. North London includes Archway, Hampstead and Highgate, which have more of a small town atmosphere, with several large parks and a good selection of pubs and restaurants. North West London includes Camden, Kilburn, Notting Hill, Willesden Green and Wembley, where there is an active night life with busy markets and up market restaurants and bars. The most popular markets include Camden and Portobello Road. West London (but still North of the river) includes Acton, Hammersmith and Shepherd’s Bush, where a large number of Aussies and Kiwis have relocated. The houses in West London are more affordable than the rest of North London. The history of South London is that it used to be outside of the city walls, so it was once a rural location. As a result of this, South London has more parks and greenery. If you’re moving to London, the south is a fantastic choice in terms of price and lifestyle. In South London you find Battersea, Brixton, Clapham and Wandsworth, where many old factories have been replaced by modern apartments. Battersea is home to the New Covent Garden Market and Battersea Park, containing 83 hectares of greenery. While the whole of the London underground is crowded and busy, Clapham Junction is the busiest station in the whole of Europe, with trains transporting people to a wide range of destinations. South West London is the location of Earl’s Court, Fulham, Putney, Wimbledon and Southfields. Earls Court in Kensington and Chelsea has a thriving social atmosphere and is home to the Earls Court Exhibition Centre, one of the country’s largest indoor arenas and a popular concert venue. 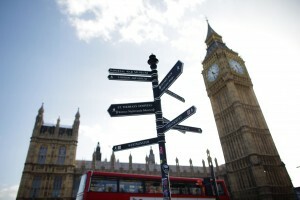 Moving to London can be costly depending on the area or location you choose to live in. Houses or apartments for rent in London will obviously vary from area to area as well as the size of the property. London Relocation provides an all-inclusive service to help you find the perfect pad in a neighbourhood that suits your lifestyle, your needs and your budget.